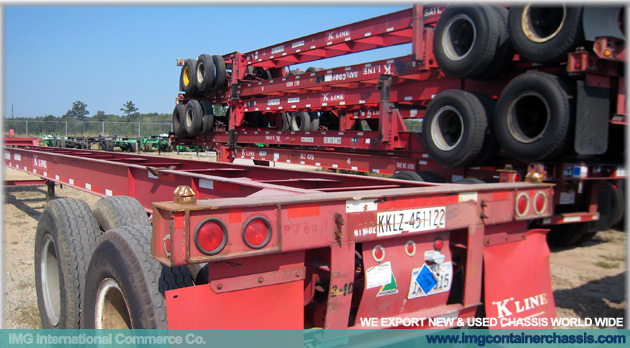 Gooseneck, Straight Frame, Flushback, Slider tandem, Extendable, Combo, ISO tank container chassis. 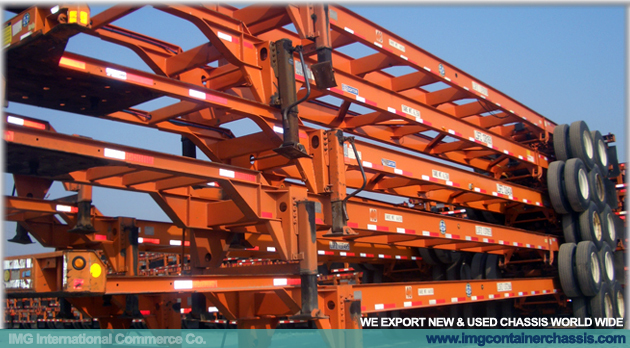 IMGInternational Commerce Co. is one of the biggest seller and exporter of used container chassis, we maintain a big inventory of container chassis in our yard in Miami Florida and in our yard in Laredo Texas, we also carry a big inventory nationwide. 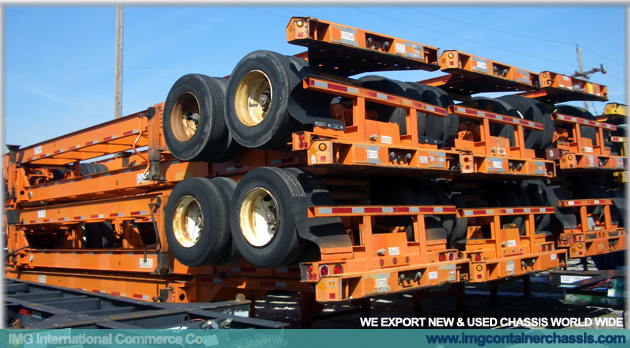 WE sell and export all kind of chassis such as 20’ foot chassis, 40’ foot chassis, extendable 20’-40’ foot chassis, extendable 40’-45’-48’-53’ foot chassis, combo 8 pins chassis, ISO tank chassis, two axle chassis or tri axle chassis. 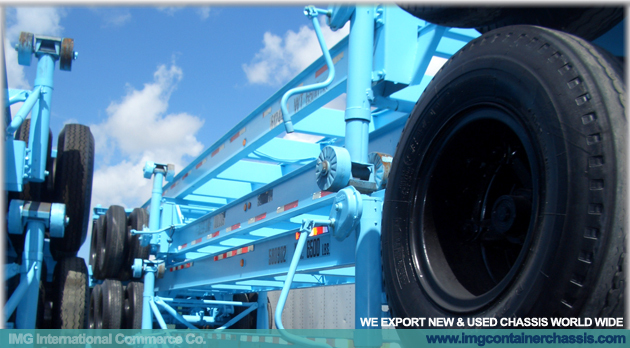 We have in inventory chassis from various manufactures like Strick, Cheetah, Hyundai, Monon, Stoughton, Manac, Loadcraft, Dorsey, Wabash, Bertolini, Ajax, etc. 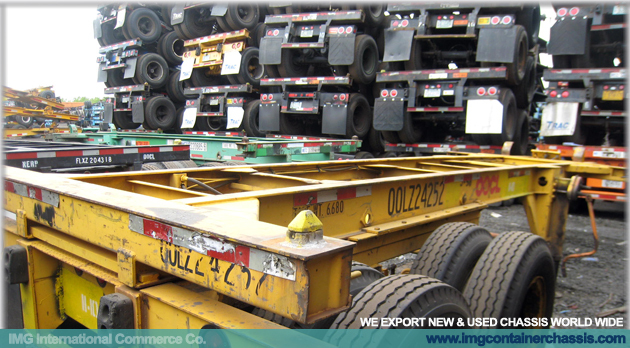 For exportation we usually sell chassis in bundles of 5 chassis; however, we will accommodate all your needs. 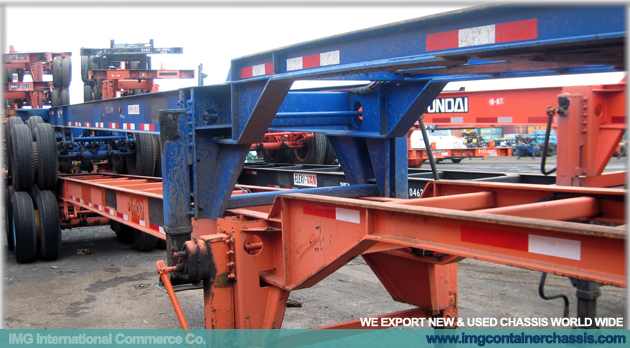 We can make combined bundles with 20 foot and 40 foot chassis, etc. 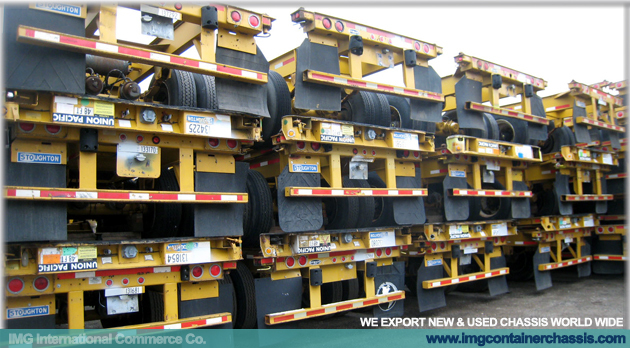 Bundles with flatbeds and chassis. 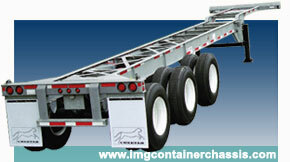 We can even load chassis into a container. Please Check the Links Below, to See Current Inventory. As is condition chassis: A chassis that needs a minor repair or needs to be repainted to be considered in working condition. 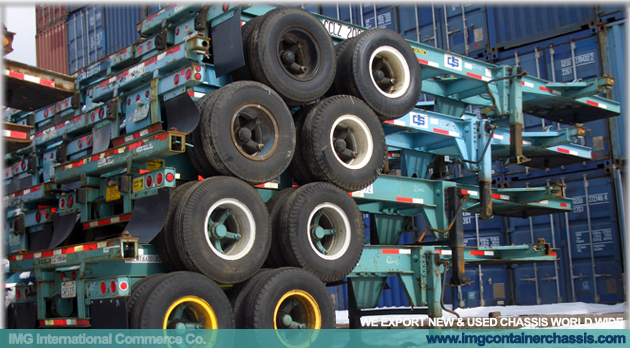 Some chassis may have the FHWA inspection. 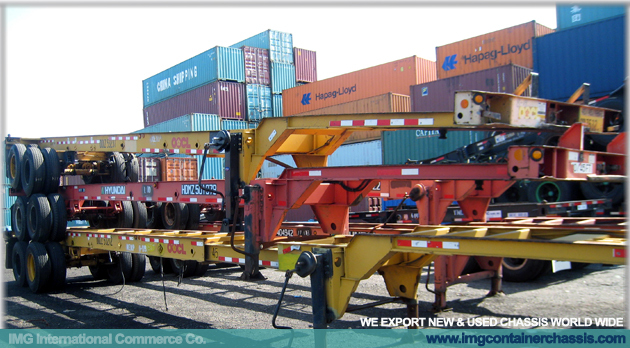 We sell and export container in Remanufactured – Refurbished condition. 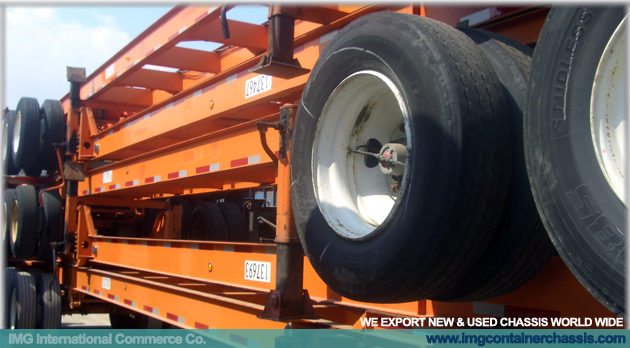 Remanufactured – Refurbished condition chassis: A repainted or repaired chassis already in working condition; some chassis may have the FHWA inspection. Si desea puede encontrar todo este contenido en español. Leer mas.